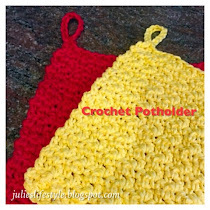 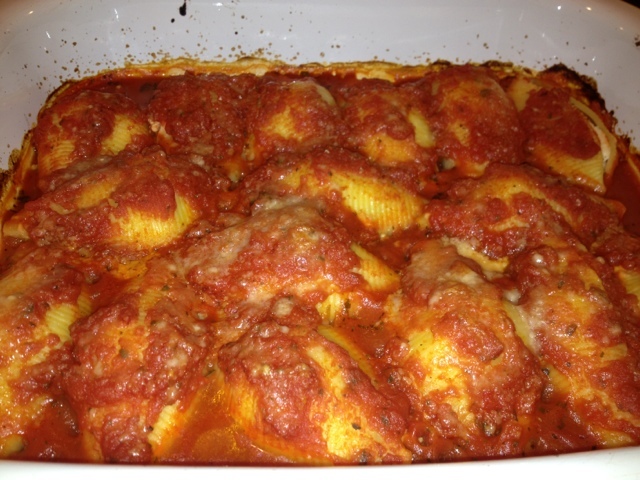 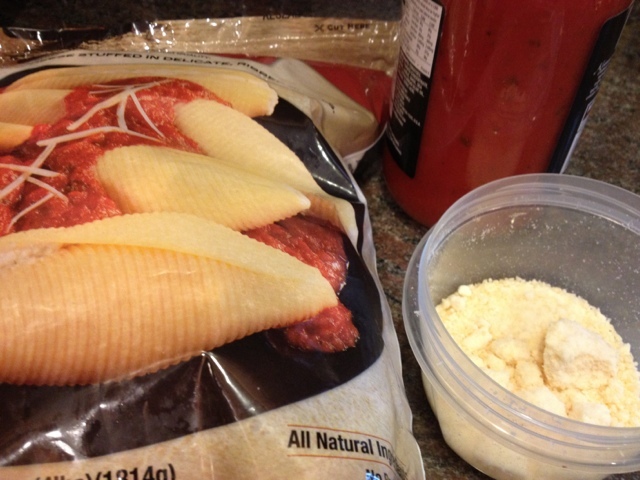 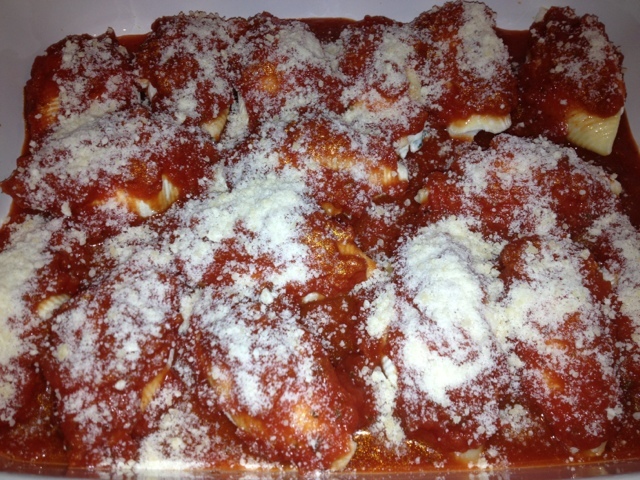 For a quick and easy recipe here is a recipe for Stuffed Shells. Preheat oven to 400 degrees. 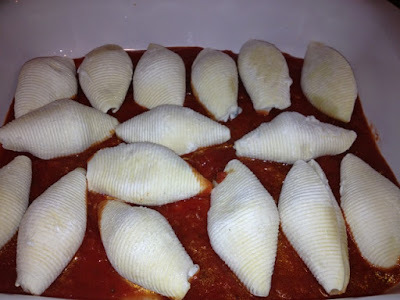 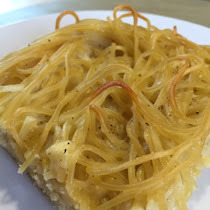 Place the sauce on the bottom of a large pan, add the shells with sauce on top and add to that mozzarella and grated cheese. 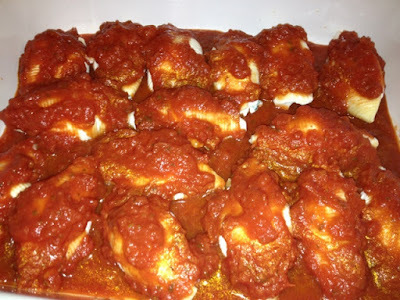 Cook in oven for 50 to 60 minutes with tin foil on top. 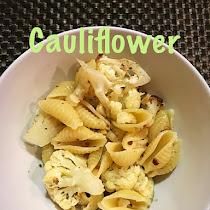 While the shells are cooking you can a make salad. 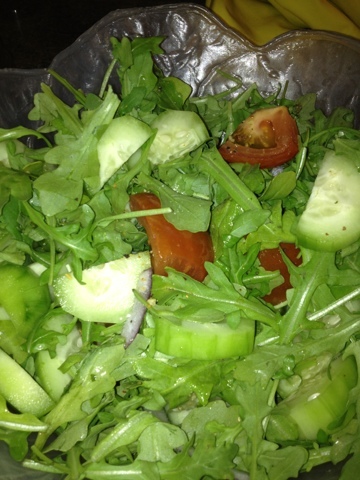 This salad is made with arugula, red onion, cucumbers and tomatoes. This recipe for stuffed shells would also be nice served with italian or garlic bread.